R A D I C A L - P L A Y - Online Games, 3D Action, Multiplayer, Car Racing Games, Soccer and Adventure! Very mad car racing game! 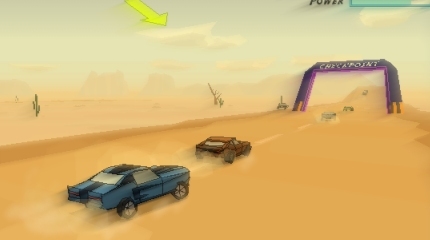 Need for Madness is a very mad car racing/crashing 3D game where you perform stunts to power your car and win by either racing (finishing in first place) or wasting the other cars! Think you can handle the madness? The game will take you into another dimension(s) where cars can jump, leap high in the air and do awesome stuff! This game is an ongoing project that is constantly being upgraded with new features all the time, to see latest developments visit its Development Blog. Aircraft combat game that is action packet to the max. Radical Aces is an action packet 3D aircraft flying game where the action takes place on Mars. Engage into radical 3D futuristic aircraft flight simulation to defend the Mars space station from the attacking Zapporian alien bots! The soccer world cup online game! See if you can take your team all the way to the semi-final and final to win the world cup! The game has recently been updated with the 2014 World Cup! An adventure game with worlds to discover quests to complete and mysteries to solve. This game will take you into a whole new world called Slug Land, a trippy place, where you are the "Flowering Nose" a creature that defends its self by throwing flowers. You need to defeat the evil slugs and unlock your way through Slug Land to finally escape it. Copyright © Radical Play Ltd.